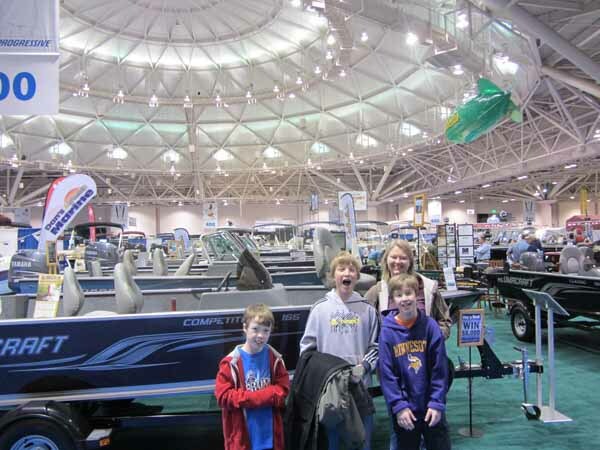 On Saturday, we went to the Convention Center to visit the 2012 Minneapolis Boat Show. Once again, we like to do this to remind ourselves of exactly how much money we don't have. 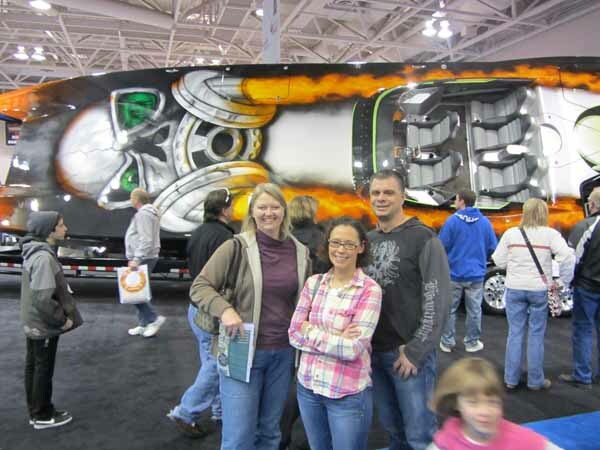 We were joined by our friends Carson and also the Zitzewitz Family. 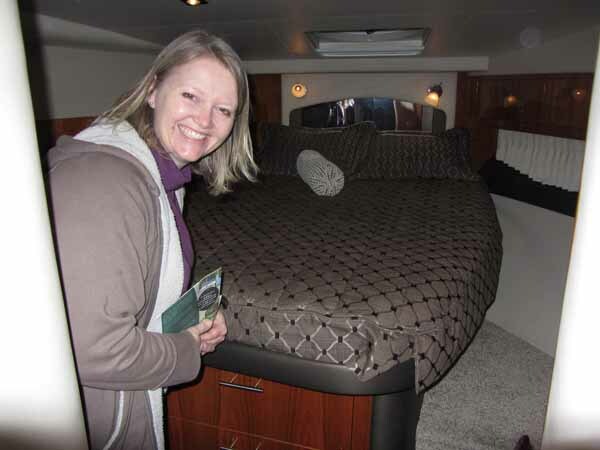 Because looking at big boats is best experienced with good friends. And maybe a couple of beers. 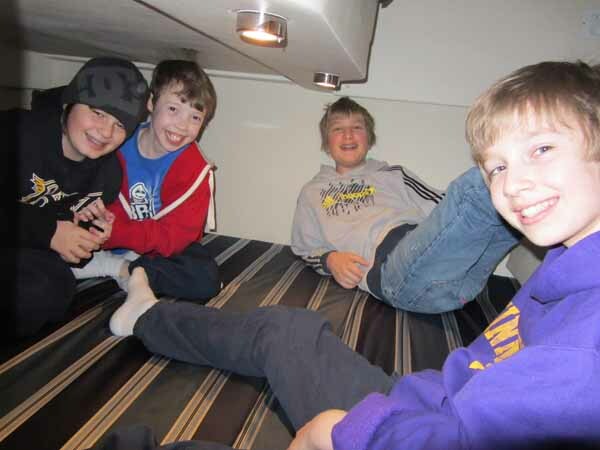 The boys love going into the big boats and lock themselves in the cabins. 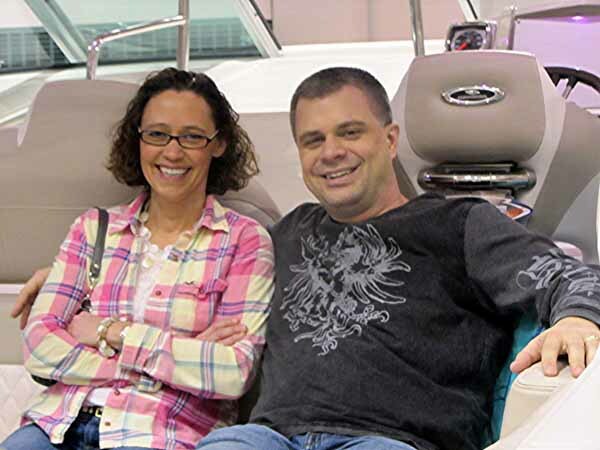 Not that they're enjoying the boat so much, but more so they can sneak out their iPods and play some Angry Birds. Because God knows they don't get enough chances to do that throughout the day. 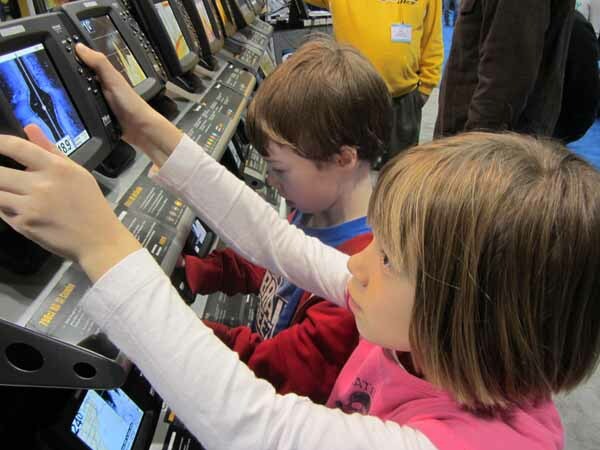 Our kids are definitely hooked on Digital Screens. Even the Depth Finders received way more attention than they probably deserved. Crafty Miss Sheri is always thinking. She said as long as the kids had locked themselves in the rear cabin, we could probably take advantage of the time in the front cabin. I had to tell her No, though. Too many people walking around for my taste. It sure is fun hanging out with them Zitzewitzes! 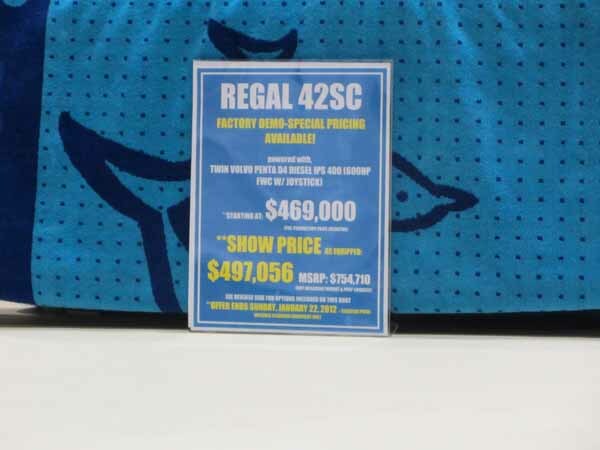 Only $497,056??? Shoot, we'll take 4. 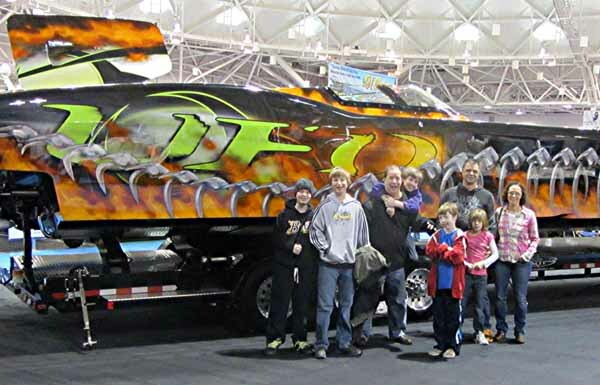 This fast boat here recently sold for only $1.8 million dollars. Some guy told me that it could go 178 miles per hour and had 1350 horsepower. I'd love to go skiing behind a boat like that! 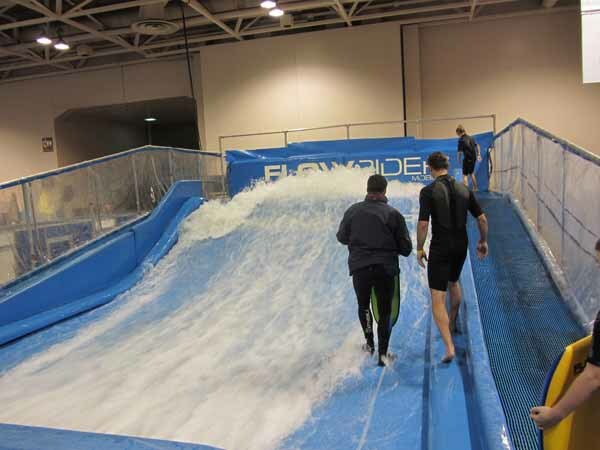 This year they had something new called the FlowRider where guests could borrow a wet suit and surf some waves for awhile. I didn't do it, though, because the idea of wearing someone else's wet suit kind of makes me tingly all over. 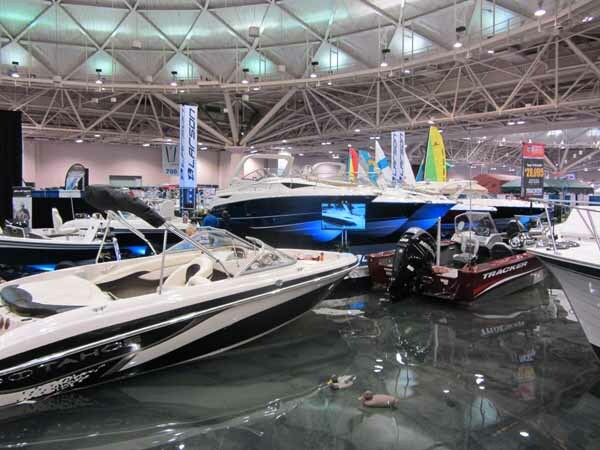 Another new feature this year was the Yacht Club and Marina part of the show. They had a huge tank of water filled up and several boats floating around in it. 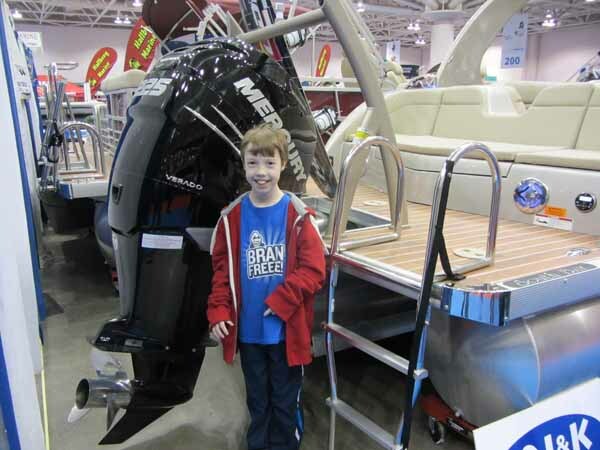 Because how can you buy a boat if you can't feel the motion in the ocean? 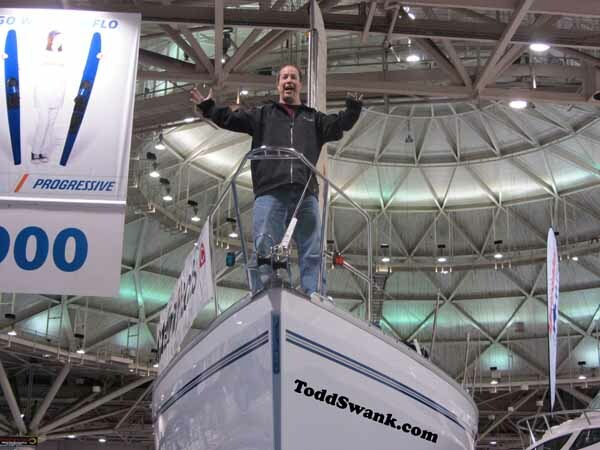 Is that a big motor on your boat or are you just Happy to See Me?